Standby power generator systems are completely automatic, helping to ensure that you remain safe from the negative and potentially harmful effects of power loss. When the system senses a loss of power, it automatically starts the generator and switches over. When the power comes back on, your system automatically switches you back over and shuts down the generator. 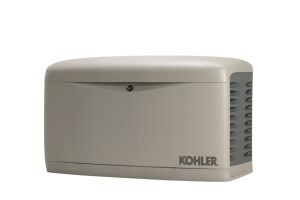 Why do I need a standby generator? Next to water, there’s nothing your family depends on more than power. Loss of power is a loss of light, climate control, appliances, contact with the world. A standby power generator system means your life goes on even when the power goes off. Whether you choose to power your whole home or essential systems, Generator Power Systems helps you keep you plugged in. What’s involved in getting a standby generator? Generator Power Systems has already installed thousands of systems in homes and businesses of every size. Proper installation is critical to ensure your system will operate reliably. Because no two systems are alike, Generator Power Systems’ proven 10-Step Process sees to every detail of setting up yours.